Cut a piece of fabric 24” wide by the width of the fabric, 58” in my case. 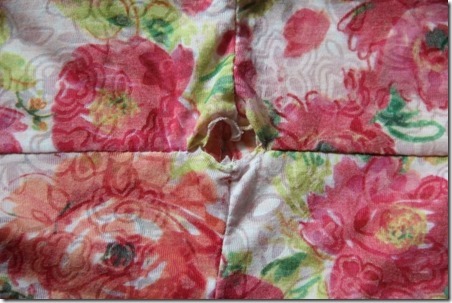 Fold with the right sides together, matching the long edges. Start stitching 2” from the end with a 1/4” seam. Stop 2” from the other end. I only left 1” and it made the rest of the steps a little more difficult. If your fabric is thick you might want to even go 3 or 4”. Press the seam to one side. Turn the scarf right side out. With right sides together, match up the two short edges. Stitch together with a 1/4” seam. Stitch the opening closed by hand and you’re done. By using the width of the fabric, this is the perfect length to loop around my neck twice. It looks great with my new tank and, for now, a jacket. See, I did need that fabric after all! Right?